I am posting this message within addons that I do not intend to maintain with the release of World of Warcraft: Warlords of Draenor. The functionality of this addon is not going away, I am rolling it into a new addon named DejaView which will allow for this and the other addons it implements to be toggled off and on. Works with Patch 5.0.5 Attack on Theramore Isle. Works with Mists of Panderia 5.0 Beta client. Removes the art from the player, pet, target and focus frames for a sleek look. Moves the target debuff display to the center of the screen about 1/3 above the bottom. Moves the target buff frame to just below the debuffs so they do not move all the time. Please see the screenshots to see the result. 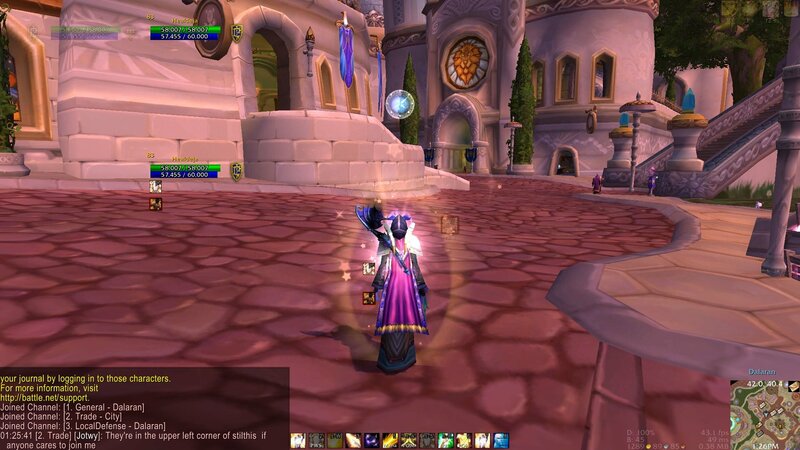 Install to your addon directory and login to WoW. There are no preferences. If you wish to move frames or buttons to your liking or otherwise change things around then you will have to edit the lua file. Scale the DejaUnitFrames with the default UI scale in the Game Menu>System>Advanced menu screen. Pet Battles do not show the micro menu buttons properly. Target frame may have red glow when in combat.